Adoption of wearable fitness trackers, activity trackers starts strong, but then loses customers. 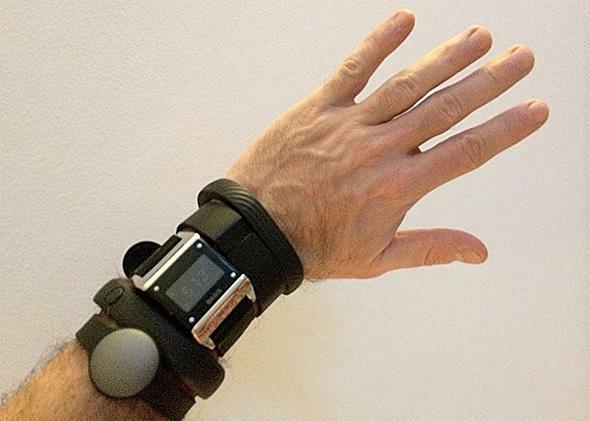 Interest in fitness trackers and other wearables may wane as their novelty wears off. Tons of wearables are in development right now, including Apple’s Healthbook wellness tracking app and a rumored Apple smartwatch. But a study published in January by the mobile strategy company Endeavour Partners shows that people who buy currently available fitness trackers tend to abandon them as their novelty wears off. So what does this say about wearables? Analysts at Canalys have been forecasting big sales for wearables in 2014 based on momentum and growth from the second half of 2013, but the Endeavour study indicates that a purchase doesn’t mean much long-term. One-third of Americans who own a wearable device stop using it within six months. And Endeavour calculated that half of the Americans who own an activity tracker or other wearable no longer use it. A recent story in The Guardian shares several anecdotes about individuals who bought recently released wearables, like Galaxy Gear, but are already attempting to sell them. The piece reports that sites like eBay and forums like internal office message boards are filling up with deeply discounted wearables as users tire of them. OK, even by trend story standards, that’s not terribly scientific. But a cursory eBay search for “galaxy gear” currently returns more than 2,800 results, whereas a search for “roku” returns slightly less than 1,700. And Rokus have been out for six years and four generations. Wearables have arrived with such force, and are in such nascent stages of development, that these studies and anecdotes aren’t portending imminent demise. The devices are far from reaching their full potential. But it’s interesting to think about why wearables are so easy to put down. It may be that unlike smartphones and MP3 players (which were lousy in their first generations, too), wearables don’t improve upon a specific technology that already exists. Instead they are forging a new path, and it may be difficult for consumers to see why they should make room for wearables in their lives. As Slate writer Seth Stevenson noted in a review of some wearables, “After a couple of days with these trackers—having seen the patterns in my activity take shape—the numbers ceased to be interesting.” Once you get it, you get it. And though smartwatches like Galaxy Gear and heads-up displays like Google Glass have other smartphone-like features, the key issue is finding the need for them—or the thing they do better than anything else—that will keep people coming back. It seems like no one has quite hit on it yet.